Oh Mykonos, where do I even begin. The moment we stepped off of the ferry we fell in love! The port was absolutely beautiful you could see what seemed like the entire city from where we arrived. After taking it all in we hopped on a taxi and arrived at our hotel. Which was the cutest little hotel–Vanilla Hotel. 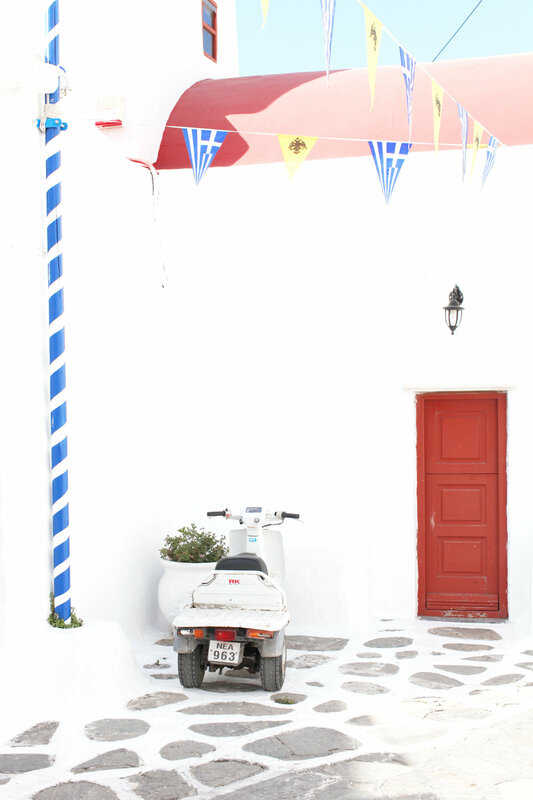 As you explore Mykonos you will soon realize that everything is tiney tiny. It was absolutely beautiful with it's all white coastal beachy look. Each one of our rooms had a mini balcony which we especially enjoyed in the early mornings and evenings. Our trip was at the end of April, the weather was perfect during the day and a little chilly during the mornings and evenings. Upon arriving at our hotel, we quickly checked in so that we could make it to the first thing on our itinerary: a private walking tour of Mykonos. We absolutely loved this tour, we really didn't know what to expect but it was absolutely wonderful. We were able to go at our own pace and get to know all the must see spots plus all the history behind Mykonos. 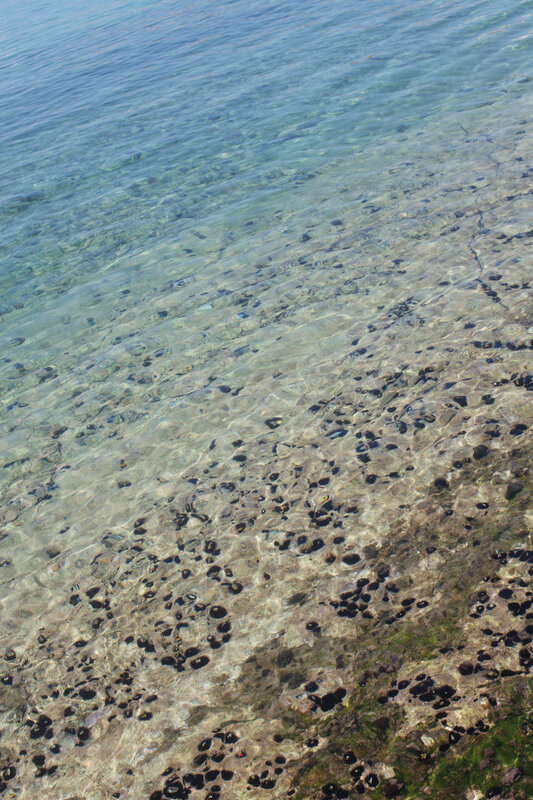 Mykonos had the prettiest clearest water I had ever seen, this city was picture perfect. The culture, atmosphere, shops, ships and architecture is perfect. Exploring the town was so much fun with so many cute little places to visit! Pictured above is my brother and Taki, our tour guide. He was oh so sweet, detailed and patient with us! See more of this tour here! 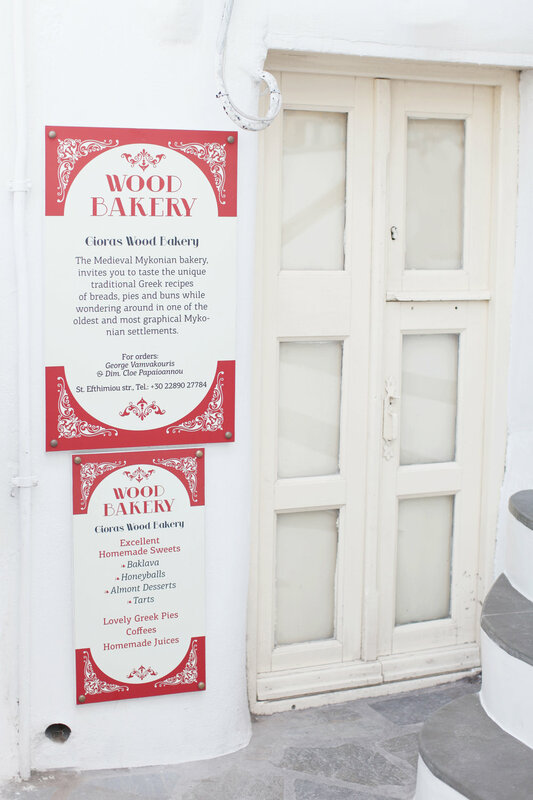 Also, pictured above is the Wood Bakery in Mykonos, a definite must see spot, it has so much history and to see the bread baked is incredible! I can't wait to show you ladies more of Mykonos, I am truly left speechless in thought of all our memories made there! Thinking of visiting Mykonos, email me I would love to share with you more details!